Two years after the landmark release of Stardew Valley, 2018 is the year of the farm sim. Between Gleaner Heights, Verdant Skies, Ooblets, Staxel, and My Time at Portia, there a lot of new additions to a traditionally stagnant genre. But even more remarkable is how the farm sims of 2018 have embraced Queer love. 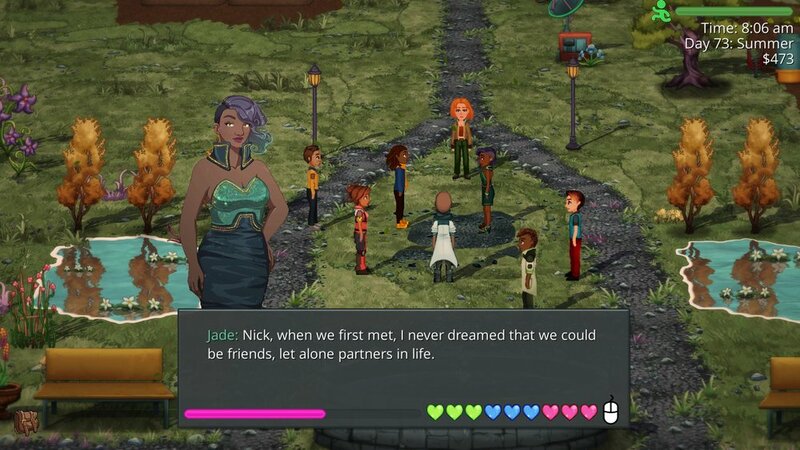 Gleaner Heights, Verdant Skies, and even My Time at Portia all allow players to date who they want, regardless of gender. It's awesome and the choice to include Queer love comes at no cost to gameplay or writing. 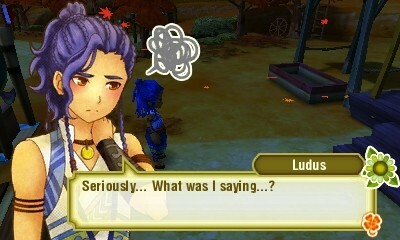 It feels like the logic time for the next Story of Seasons to the jump into the modern era. In 2016, Story of Seasons producer, Yoshifumi Hashimoto, in an interview with Polygon addressed this very issue. This is an aggravating response to a very simple ask. It makes the dangerous assertion that people can be only straight or gay. This is, of course, not true. There wouldn't need to be more characters definitely not two or three times more. It would take small amounts of tweaking. After all, all of the modern indie farm sims have done just that. There seems to be an attachment to traditional gender roles in Story of Seasons. In the most recent, Trio of Towns was filled with archaic depictions of gender. At one point my PC was in one of the bachelor's rooms and this as presented as highly salacious. And in another, the same bachelor was shocked that the PC was able to beat him in combat despite her being a goddamn farmer. These moments were incredibly cringe worthy and cast bae (Ludus) as predatory in a way I don't believe the writers intended. This was a reoccurring theme across potential husbands. The depiction of women as weaker than men also permeated the game's otherwise good writing. It becomes a detriment. We're due for another Story of Seasons in the next couple of years and I hope they will pay attention to the legacy of Stardew Valley and take the steps that other developers have already taken.